New Ricoh 889611 Black Premium Quality Compatible Copier Toner Cartridge designed to work in the Aficio 400/ 401/ 500, Gestetner 2460e/ 2850e/ 3240, Savin 9940dp/ 9950dp copiers (700 gram toner cartridge). 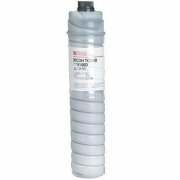 Replaces the Ricoh 885144 toner cartridge. The use of compatible supplies does not void your printer warranty. HP 95A Premium Quality Compatible Black Toner Cartridge designed to work in the HP, Brother, Apple, DEC, Konica Minolta, Lasermaster, Canon, NEC, Newgen, OCE, Olivetti, Panasonic, Ricoh, Savin, Siemens, Wang, Philips printers. The use of compatible supplies does not void your printer warranty.